What is important to understand is that the key to success is understanding that what changes is the “it” part of this concept. See, no matter what the situation is, when it comes to the “own,” the concept is constant and never really changes. Why? Because of those key words mentioned before; accountability, responsibility, acknowledge, admit, have, obtain. As one becomes more aware of how to own they will build their confidence which is so crucial to be successful when the time comes to “own it”. Seek Clarity: When expectations, goals, directions are clear, we give ourselves a much greater chance of achieving success. Clarity also brings with it the ability to have confidence in what one is doing and it is this confidence that unlocks the power to “own it”. Develop a Plan: Once there is clarity, it is now possible to develop a plan. The process of a developing a plan creates the feeling of ownership which is one of the best definitions of “owning it”. When there is a feeling of ownership, there is more commitment to achieve success. It is important that this plan is detailed and covers goals, expectations, actions, tasks, milestones as well as identifies those who you might need to work with. Execute and Evaluate: No matter how good a plan is, nothing happens until action is taken. When it comes to “owning it” a leader must lead out by executing the plan. 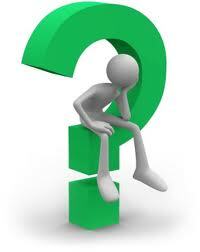 As actions are being taken, a leader must be able to effectively evaluate whether the plan is working or not. This evaluation can only take place if there was clarity up front so that an effective plan could be developed. There are other areas that could be addressed but my goal is to provide more of an introduction into this important leadership concept to “own it”. As one learns how to live and lead by this concept there will be greater feelings of accomplishment, satisfaction and confidence. These are all feelings that we as humans crave on a regular bases so take control of the “it’s” in your life by saying to yourself, I will “own it”. 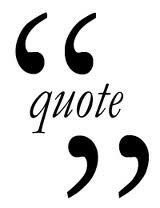 Quotes-Do they really mean anything? To me there is so much within these profound words of the great president Theodore Roosevelt. I guess one main reason I like this quote so much is that it can be applied in almost every situation. I know that having spent quite a bit of time in leadership roles professionally, religiously and in other areas of my life, this quote has always come to my mind. At the end of the day, the credit truly does need to go to those who are making great things happen every day. Whether you are a parent, teacher, leader, professor, whatever role you want to list, think about how this quote might change the way you see others. For parents, your teenagers are in a serious battle, every day, they are in the arena trying their hardest to do good, are you giving them the credit for their efforts or are you always looking for what’s wrong? Just something to think about. I know as a parent I can lose sight of just how blessed I am to have teenagers who strive every day to do good. This quote helps me remember that and do all I can to be there should the slip and fall. I love these short but sweet quotes. There is a ton of meaning in these few words. I was actually attending an event where Coach Holtz was speaking and heard him share this and it pierced my heart. I can remember the feelings I had about how this had been my goal throughout my life but he stated it in such an effective way. I can honestly say that this quote was truly a turning point for me. It has helped me to push forward in trying to set myself up to truly add value to other people’s lives. So what do you think about his quote? It is important that this not be applied just to one’s professional life. Think about what your life is made up of, now how does this quote relate to you? The last thing that made such a profound impact on me was that these words of a college football player who truly believed and lives these words. He wanted to add value to the young men he coached. He walked the talk. I am trying every day to do the same. So there are just two examples of how quotes can be used for more than just nice Tweets, Intsagram pics, Facebook Status, etc. I will share more of these in the future as I liked the exercise of reflecting upon these words. Time to go add value. Posted on February 8, 2013 Categories InspirationalTags empowerment, encourage, growth, highschool, impact, influence, inspire, leadership, opportunity, parents, passion, quote, quotes, reflection, respect, strength, success, trialsLeave a comment on Quotes-Do they really mean anything? This may be a pretty big assumption but I will make it anyway, we will have times where we will face major adversity in our lives. This adversity will come as a result of losing ones job, death of a family member, financial shortfalls, marriage problems and thousands of others ways. We have also probably all heard that we need to be strong during those times. Well guess what? It’s true. To make a quick analogy I will put it this way because I am one who actually makes this statement quite often, “if it’s good for you it probably doesn’t test good.” Now, I know this is not 100% true but stay with me on this. Let’s say it does not taste good but it does make you healthier, it does give you energy to exercise, it does provide the right nutrients to help your muscles recover and so on. So what is actually happening is while I am “forcing” myself to eat this healthy food (adversity), I am actually providing much needed strength to my body. Take a step back and see the bigger picture. Too many times when a challenge or trial enters our life we react in ways that can often make things worse. It is crucial to be able to try and see the challenge within a larger picture. This will help provide perspective and can even help you to see that maybe things are not as bad as they have initially appeared. Be positive. There is a difference between being positive and happy. Being positive means you are focused on seeing the good in things and pushing forward. Being positive means you refuse to sit and talk about all the bad things that led to this specific trial or adversity. Being positive means you put into action a plan to make things better. Find a go to partner. You will need to talk with someone. This person maybe different based on the type of challenge but be sure you have a trusted person you can speak with. It maybe your wife, a close friend, a past boss, a sibling or your church leaders. The key is, you need to find someone so you do not feel so alone. Note the lessons learned. Be sure and grab a pen and paper and write down your feelings. Within those writings, be sure and note what you have learned about the adversity you are facing. This can be so helpful as there will be times in the future where you will face a similar challenge or someone you know will. These writings can be key in helping you or them through the situation. I will be the first to admit that finding strength during times of adversity is actually a lot easier to say than do. However, I have found that there is so much peace, comfort and joy that comes as I apply the four points above. There is nothing wrong when we are faced with adversity, in fact it is a sign we are normal. As crazy as this may sound, I am thankful for those times in my life when I struggle as it brings me to my knees and reminds me that I am human. It reminds me to swallow my pride and look to others for support. I will always be thankful for those who have been there for me and hope I am someone that others can lean in their times of need. Leaders find way to turn times of challenge into learning and teaching opportunities. Most likely because this is an area where more people can relate unfortunately. One last thought, as you learn to find strength in times of adversity, you will feel more empowered When you feel empowered, there are no limits to what you can achieve so do all you can to find that strength so you can feel empowered. Now, it is time to pump some adversity.